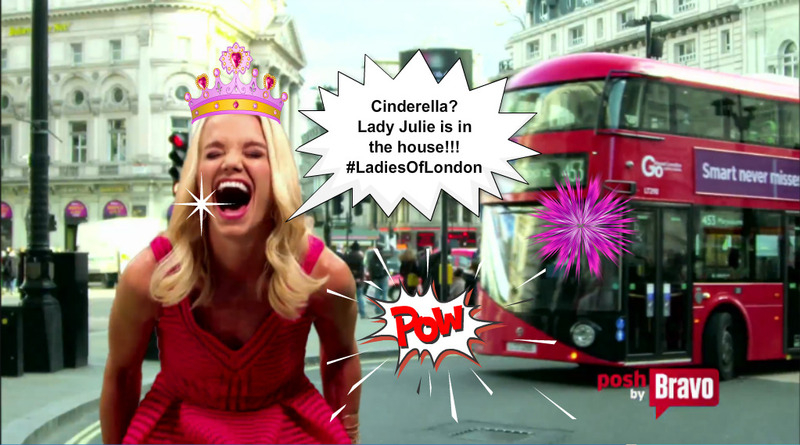 Home » #LadiesOfLondon » #LadiesOfLondon Episode 2 Highlights- Crazy Christmas! Baroness Caroline Fleming Bites The Goose Bone and Shares Something Special With Nicole Kidman! #LadiesOfLondon Episode 2 Highlights- Crazy Christmas! Baroness Caroline Fleming Bites The Goose Bone and Shares Something Special With Nicole Kidman! Danish Christmas at Caroline Fleming’s London home was warm, wacky, and wonderful-like Fleming herself. The entire meal was prepared and served by the “Barefoot Baroness” in a $2,000 red dress! Oh how the mighty have fallen,at least in the public perception of Royalty.But fans of Ladies of London will forever remember “The Baroness and Her Bone” as a rare, unintentionally comedic moment to cherish! Caroline Fleming isn’t afraid to be herself, and assert her unique manners at dinner. This includes picking up her roasted goose meat, still on the bone, and eating it with her finger tips. 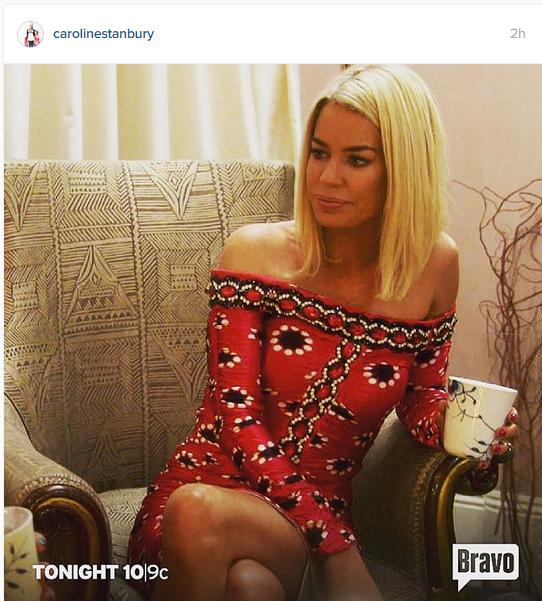 Caroline Stanbury said she looked like a caveman at the dinner table, but Fleming could care less and laughed it off…..like a goose! A great big honking laugh came out of the tiny blonde Baroness and fans were left gaping at the television. If you haven’t seen Monday’s Ladies Of London episode, the laugh by Fleming is well worth the wait! Nicole Kidman and Caroline Fleming share this “laughable” trait in common…..
Caroline Stanbury and Luke Henderson discussed the dinner later and the eccentric behavior of our favorite royal! Luke is Caroline Stanbury’s make-up artist, close friend, and a great addition to the cast. This episode took a very serious turn as we see Stanbury’s “Gift Library” business fall prey to suppliers who are unable to meet the demands/deadlines of customers during the all-important Christmas season. Anyone who operates in Retail Sales will tell you 70-80% of a company’s annual sales are done in November and December. Caroline’s business, being very high-end, can’t afford crocodile bags and Piaget watches not being made available to ship when ordered. Yet it happens constantly in the fashion industry. Let’s watch and see how the season plays out for the company. Juliet Angus and Marissa Hermer continue to disagree over “Turkey-gate” and the after-shocks its having on their relationship. Marissa seems ready to move forward without Juliet, yet Juliet still wants to recapture the friendship. 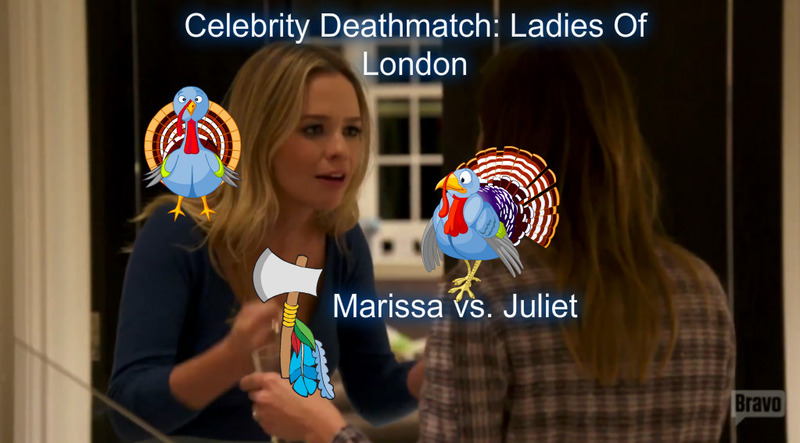 I agree with Marissa that what Juliet did was in VERY poor taste,and that she was “better-dealed” for a more appealing Thanksgiving invite at Caroline Stanbury’s home. Juliet wants to play with the cool kids, so she spoon fed her Birthday sob story to Caroline – manipulating a new party for herself at Caroline’s home! I’m glad Marissa stuck to her guns and held Juliet accountable. “I’m sorry” doesn’t change Juliet’s actions, and it will take time to win back this friendship with Marissa. We are not seeing nearly enough Annabelle Neilson yet this season! 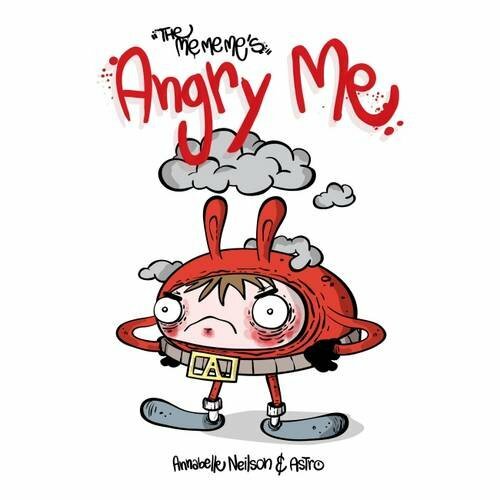 I know she’s been busy with her writing and her books, “The Me Me Me’s” hitting stores. Her friendship with Julie Montagu is really fun to watch, especially as she tries teaching “Lady Julie” how to behave like an aristocrat. Loaning her your fabulous Alexander McQueen dresses for events is so touching. Annabelle really has a huge heart and it would be fun spending time with her.